If you're on a tight budget, you might be able to handle your divorce without a lawyer in Kentucky. Do-it-yourself divorce can be a good option for couples with minimal assets and if the couple agrees on the terms of the divorce. Before you can file for divorce in Kentucky, you do need to live in Kentucky for at least six months. Kentucky is a no-fault state, which means divorces are granted without either side stating reasons why the marriage failed. The only ground for divorce in Kentucky is "irreconcilable differences." 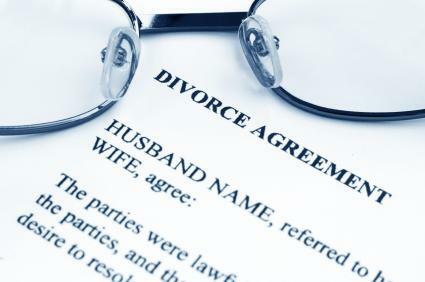 Filing for divorce without an attorney is relatively easy provided that your case is not complicated. However, according to the Kentucky Legal Aid society, you should hire an attorney if you or your spouse has a pension, you have significant amounts of property, or you think that you and your spouse are going to disagree on custody for your children. You begin your divorce case in Kentucky by filing a Petition for Dissolution of Marriage with the Court. If you have no minor children, you can use Kentucky's interactive forms and file online. If you live in Jefferson County, you can download a Petition for Dissolution of Marriage online. For Kentucky residents outside Jefferson County, or those who have minor children and cannot file online, self-help divorce packets are available for $10 at all Family Court Divisions and driver's license branches. After you've filled out the required forms, you must file them at the clerk's office in the county where you live. There is a list of Family Court offices on the general Kentucky Family Court website. You will have to pay a fee to file, but also pay a fee for your spouse to be served, unless your spouse signs a waiver, waiving his right to be served. In straightforward cases with few assets, the parties file a separation agreement along with the petition. Also known as a settlement agreement or simply a divorce agreement, the separation agreement is a contract between the parties that settles all outstanding issues between them. It confirms that they wish the court to end their marriage. If the court approves the separation agreement, it incorporates it into the final decree of divorce. If the couple cannot agree, they can ask the court for a hearing. Filing for divorce in Kentucky without a lawyer typically works best in uncontested cases. For more complicated cases or where the couple is unable to reach an agreement, it's better to consult a divorce lawyer. Similarly, you might need expert assistance if you have minor children or own considerable assets. Should you choose to proceed without a lawyer, the Kentucky Legal Aid website is invaluable, offering clear instructions and information on everything from the divorce itself, to child custody and visitation.